I, Prof. Ir. Dr. Abdul Halim Mohamed Yatim (UTM Dean of the Faculty of Electrical Engineering) and Assoc. Prof. Dr. Mohammad Bilal Ali (UTM Dean of the Faculty of Education) have made an official visit to the Universitas Sumatera Utara (USU) and Universitas Negeri Medan (UNIMED). This visit is a continuation of the visit of Prof. Dato ‘Ir. Dr. Zaini Ujang (UTM Vice Chancellor) and I last May. 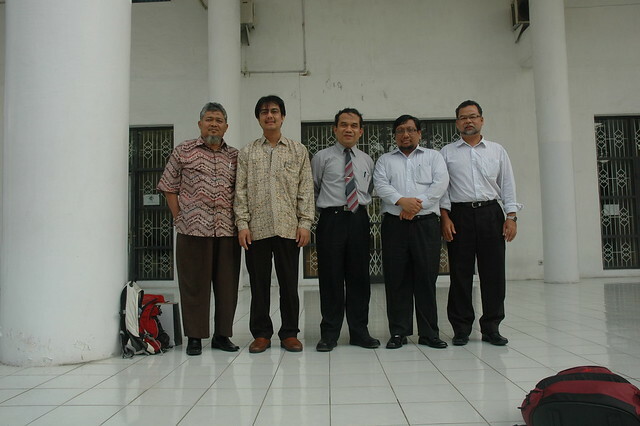 Some of the cooperation programs between UTM with the two universities have been discussed for further action.